The new year just got even better! 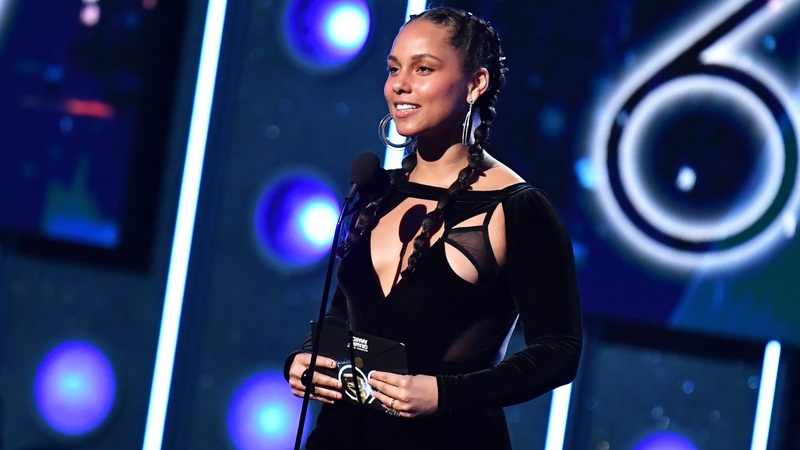 Via a video posted on her YouTube channel Tuesday morning, Alicia Keys announced she’ll be hosting the 2019 Grammy Awards on Feb. 10. She then meets with her glam team to shoot promos for the event, trying on an elaborate structured dress she compares to a toilet bowl brush before settling on what appears to be a crushed velvet suit. Some very special hardware makes a cameo in the clip too. As Keys sits down to play piano for the promos, her own 15 (yes, 15!) Grammy awards sit atop the piano. The news essentially brings things full circle for Keys, who picked up her first Grammy in 2002 for her breakout hit “Fallin’.” Just last year at Variety’s Power of Women event in New York, Keys touched on the importance of parity in the entertainment world. “Look at all the action that’s around us: women running for office in record numbers, women banding together in the entertainment industry, women demanding an end to disparity in the music industry like equal representation on the Grammy stage,” Keys said in April 2018. And now, she’ll be contributing to that representation in a big way as the first female host of the Grammys in 14 years — the last being Queen Latifah back in 2005. Given Keys’ commitment to empowering women and helping them recognize their worth, we can’t wait to see what she has in store for the Grammys stage.